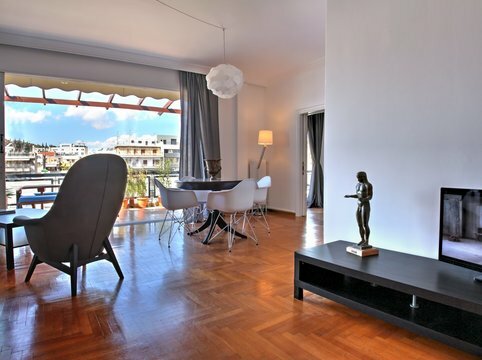 Beautiful Apartment Next To Acropolis! 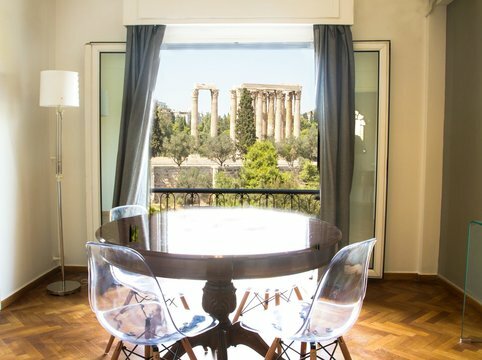 Stylish and comfortable one bedroom apartment situated only 200 meters from the Acropolis Museum and metro station, a breath from the Parthenon and the archaeological sites. . Spectacular terrace view. Totally refurbished, one fine bed and, fully equipped kitchen. It is full of light and quiet. . It is uniquely positioned between the Plaka and the Acropolis pedestrian areas, while the neighbourhood is safe with many eateries, cafes and bars to the satisfaction of all visitors. We will be more than happy to provide you -upon booking. – with lots of suggestions, advice and useful tips which will make your stay unforgetable. Remember : ************* * 200 meters from the Acropolis metro. * 10 min walk to Acropolis-Parthenon * 5 min walk to Plaka . * 10 min walking distans,to the Herodus Atticus Theatre, to the Thission, the Ancient Agora and the Keramikos Cemetery. * 10 min. walk to Sintagma square and National Gardens . * 500meters far to the Museum of Modern Art * 5 min walk from Zeus Temple * 5 min walk from Panathinaiko stadium 1896 * In the bedroom, there is a big double bed * In the living room there is comfortable sofa beds. ( accommodate 3 persons) . * Shower – hairdryer, toiletries provided. * Washing machine. * Separated fully fitted and fully equipped kitchen with all the cooking facilities. * kettle, coffee maker, toast maker, oven. * Iron and ironing board. * Air condition in the living room * Flat screen TV. * Wi fi connection (24 mpps) * Mobile phone with Greek number upon request. * Towels and linen provided. * Excellent transport links by tram bus and metro (Acropolis metro station). * Linked with the El. Venizelos International Airport . * No deposit. Luxury 2br Apartment Next To Acropolis!